Wales manager Chris Coleman has said he is hopeful Wayne Hennessey will have recovered in time for the start of the World Cup qualifying campaign in September. The Wolves goalkeeper will be sidelined for six months with a torn cruciate knee ligament. The 25-year-old is a doubt for Wales's first four qualifiers in the 2014 World Cup campaign but Coleman is hopeful. "I wouldn't rule him out," he said. The 25-year-old picked up the problem during Saturday's 0-0 Premier League draw at Sunderland and will undergo surgery. "Sometimes the recovery is quicker and sometimes it's longer. You just can't tell," said Coleman. "At this moment in time speaking with the medical people we're pretty hopeful that we'll have him back for the start of the qualifying games. "It's a tricky injury that one so we've got to be careful with him. We can't rush him back. He's got to take his time and makes sure he's 100 per cent. "Of course we want him back because we've got some real good games coming up and obviously the big one in September against Belgium. 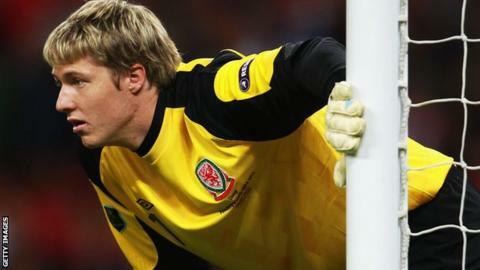 "But we've got to think what if he's not back then we have to have a plan B which we have and a plan C."
Hennessey has established himself as Wales' number one choice stopper after making his debut against New Zealand in May 2007. Wales begin their World Cup qualifying campaign at home against Belgium on 7 September before an away game in Serbia four days later. The following month Coleman's side host Scotland on 12 October and then travel to Croatia the following Tuesday. Wales face friendlies against Mexico and Bosnia-Herzegovina before then and Coleman says Hennessey is an important player for club and country. "Any good team needs a good goalkeeper and that's what Wayne is," added Coleman. "I think he's improved a great deal and I've been very impressed with what I've seen with Wayne. "He's got a fantastic mentality [and] a great attitude towards his job. He's going to be important for us no doubt. "It's a blow for Wales and a blow for Wayne and obviously it's not good for Wolves at a critical stage of the season," said Coleman. "I think he's done as much at Wolves as any other player to try and keep them in the division."